Is BPA really a problem? 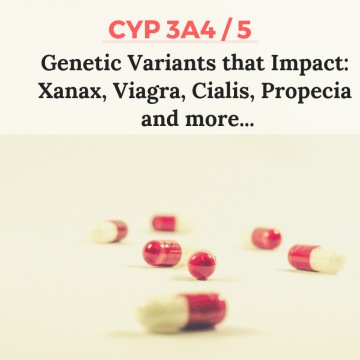 or do genetic variants play a role? I’m diving into the research on the topic, looking past the hyped-up ‘sky is falling’ type of headlines to see if there really is a reason for concern. Bisphenol-A is a component of some plastics (recycling symbol 3, 6, and 7). It is considered to be an endocrine disruptor because of the molecules similarity to estrogen. It is now ubiquitous in the environment, and more than 90% of people have detectable levels in their blood. There are actually a bunch of animal studies that show that BPA can cause weight gain, alter hormone levels, disrupt offspring, etc. [ref] While animal studies are important and have their place, I’m going to focus here on recent human studies from the past couple of months that take into account current levels of exposure. Another recent study looked at BPA and PFOAs in newborns to determine if there was an effect on birth size. First, over 90% of the 6,000+ infants (1,000 were twins) had detectable levels of BPA in their blood, and over 99% had detectable PFOA and PFOS. The study did find that average BPA levels were higher in twins born with lower birth weight, possibly because higher BPA levels also correlated with a greater number being born before 37 weeks of age. [ref] Most remarkable to me is that 90% of the babies were born with BPA in their blood. The study was on infants born between 2008-2010 in NY. This seems like a logical first step, but it can be more difficult than you may first think. Take a look at this list of common exposure routes to BPA and figure out where it makes sense to focus your attention. Realistically, it isn’t possible to cut out all exposure. A recent study on the detoxification of BPA in the liver found that the process depends on the stored retinol (vitamin A) in the liver. If you are a vegetarian and depending on beta-carotene as your source of vitamin A, you may want to check and see if you convert beta-carotene to retinol well. Researchers have found that BPA is eliminated through sweat as well as through urine and feces. [ref] So working up a good sweat through exercise or in a sauna may have the added benefit of helping you eliminate BPA. Another article on detoxification of BPA: The BPA problems and what to do about it. Study on BPA transdermal exposure in cash register receipts.